Shelly Bay airforce base (retired) below Mount Crawford Prison (hilltop) on Miramar Peninsula. Makaro/Ward Island and Eastbourne behind. 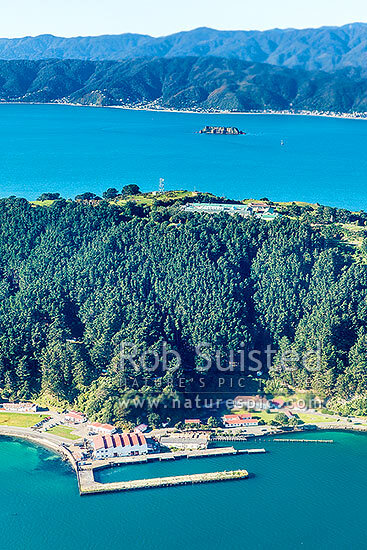 Aerial photo, Wellington, Wellington City District, Wellington Region, New Zealand (NZ), stock photo.